Get paid to do things you already do with these money making apps. I’m a big believer in getting paid to do the things you’re doing anyway, whether it’s shopping or watching TV. Although I don’t believe you can pay your rent or make a living with smartphone money, there is a lot you can do to save, get free stuff, and yes, make money with your phone, often doing things you’re already doing. Not only that, the number of apps that will pay you in money, gift cards and other rewards continues to grow. 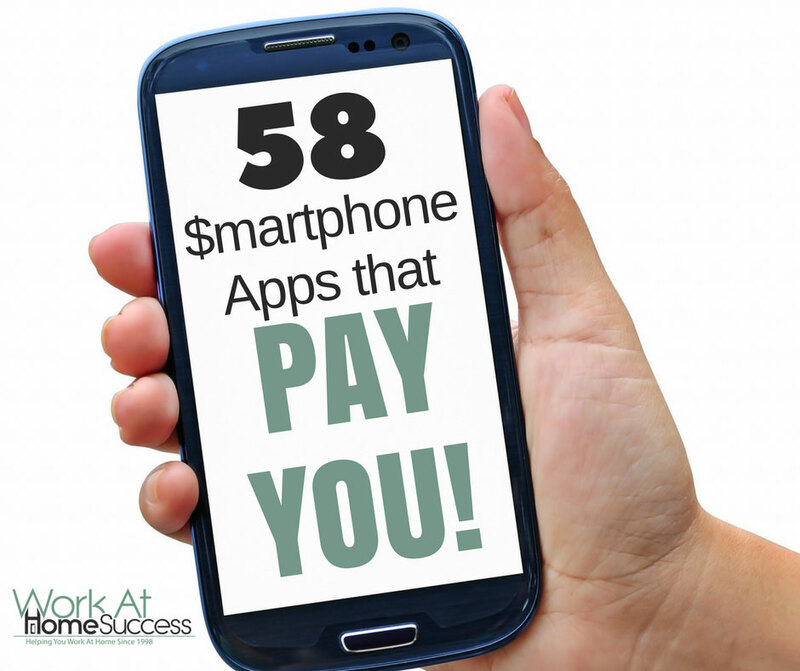 So as an update to the 2014 post on phone apps that pay, here is an even bigger list, with more cool stuff you can do to make money with your smart phone. Shopping – These are apps that will save and earn money mostly through grocery or other shopping. Surveys – These apps pay to to share your opinion. Watch stuff – These apps pay you to watch TV, trailers or other videos. Try Apps- These apps pay you to try new apps or games. Lock Screen – These apps pay you to feed news, trends and promotions on to your lock screen. Miscellaneous – These are everything else such as driving, taking photos, and microtasking. Most come in both iOS (Apple) and Android. A few include other options such as BlackBerry. Check your phone’s app store for the apps. iSecretShop: This is a secret shop job portal that is web or app based. Mobee: Get paid to mystery shop. Find a mission near you, review as you’re out and about, and earn cash, gift cards and prizes. iOs and Android. MobiSave: Earn money back on your grocery shopping. Shop at your regular stores and get payment in PayPal account within 24 (no minimum threshold to get paid). iOs and Android. Receipt Pal: Works like Receipt Hog, in that you scan your receipt or send an e-receipt to earn points to get gift cards. Rewardable: Get paid to do tasks such as scan a barcode while you shop. Earn cash and rewards. iOs and Android. Shrink: Buy brands you love, discover new brands, share brands and earn cash, freebies and more. Pays through PayPal and Venmo. iOS and Android. Thrive: If you like organic, non-gmo products, you’ll want the Thrive app, where you can order and have items delivered. Many items cost less than their non-clean competitors. Thrive also offers a $25 referral bonus for sharing with your friends. Wal-Mart Savings Catcher: Scan your Wal-Mart receipt and if the app finds a lower price on something, you’ll earn the difference back in a reward card. Yaarlo: Earn gift cards by shopping in your favorite stores or online. Global Test Market *: Take surveys and earn cash and rewards. Google Opinion Rewards: Share your opinion and earn credits you can use in the Google Play Store. IdeaShifters: Get paid for your opinion. Take surveys to earn points that can be redeems for giftcards. iOS and Android. i-Say*: Take surveys and give your opinion to earn points that can be redeemed for stuff. I-Say is also in Canada. MySurvey: Take surveys and redeem points for money, gift cards, stuff and more. Vindale: Get paid $2 for signing up. Pays in cash, up to $50 per survey. * Apps with an asterisk have international options as well. Don’t miss WAHS post on making money with surveys, that includes more survey companies including international survey sites. Instant Rewards: Get paid cash and rewards to watch app trailers, like pages on Facebook and more. iOS and Android. Appdango: Earn points to exchange for gift cards to your favorite retailers just by testing apps. Android only. Mobile Rewards: Earn points for downloading and testing an app for 30 seconds. Points can be redeemed for gift cards. MyCrowd: Get paid to test apps. Also pays for website testing. ShowBox: Get paid for playing games and trying other apps. Review for Dev: Get paid to review apps. Payment varies depending on whether you supply a text, video or text/video review. Appears to be iOS only. Adme: Lock screen app for Android. Fronto: Lock screen app that pays in cash (PayPal), gift cards or coupons. Locket: Change your lock screen to view news, trends and promotions. Android only. Slide Joy – Earn cash to set your lock screen to show news, trends and promotions. You can get paid through PayPal or donate your earnings to a cause. Android. 1Q: Answer a question and earn $0.50. Apparently you can earn more by using one of the apps. iOS or Android. Perk: Offers a variety of apps that will pay you do stuff like watch videos or play games. Pays with giftcards, cash rewards and prizes. Qustodian: Get paid a percentage of the advertisers cost to view ads. Most mobile devices. Roamler (European Countries): Get paid to do tasks. Smart Panel: This app works in the background, collecting data that is used to “help your favorite websites, apps, and technology companies improve their services and features for everyone.” Sounds invasive, but you get paid $5 for qualifying and $5 a month for continuing to run the app. Plus you get a bonus every 3 months. Task Rabbit: Get paid to do tasks including cleaning, handyman, personal assistant and more. Zoozz: Cloudsourcing tasks app similar to Task Rabbit. Do you know of any other apps that pay? Wow! Great List! I am researching about apps that accept members worldwide. Many are not open to all countries. I am not finding much luck. But this is a massive list. Thank you for this. Hi Vidya, Yes it can be hard to find international resources. When I do, I try to highlight them. Thank you for visiting Work-At-Home Success.